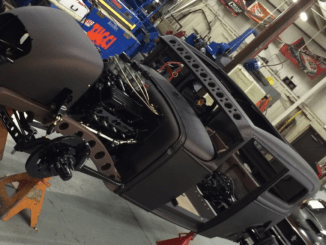 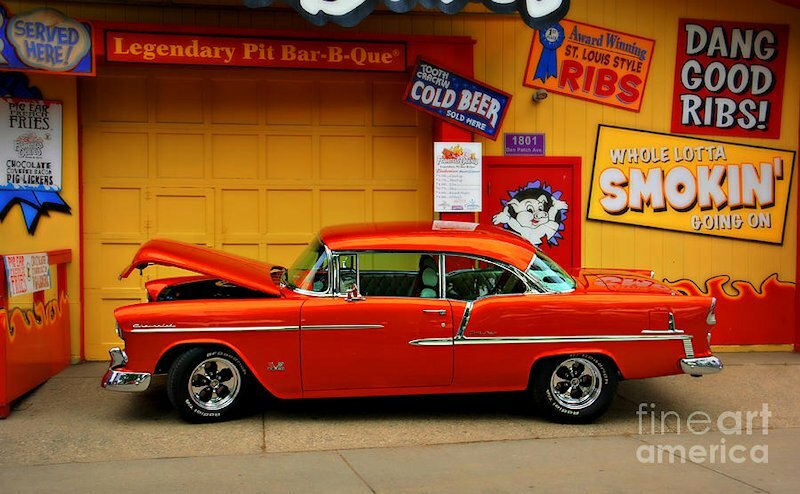 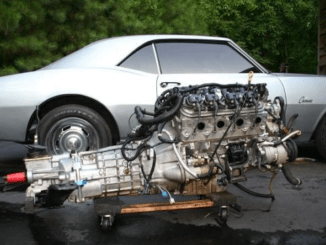 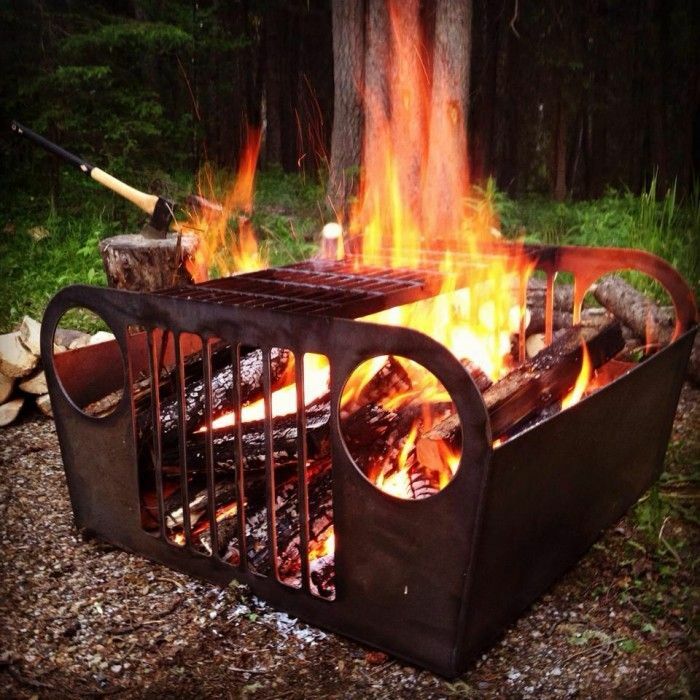 7 - 46 Kickass Pics That Will Help Get You Over The Hump! 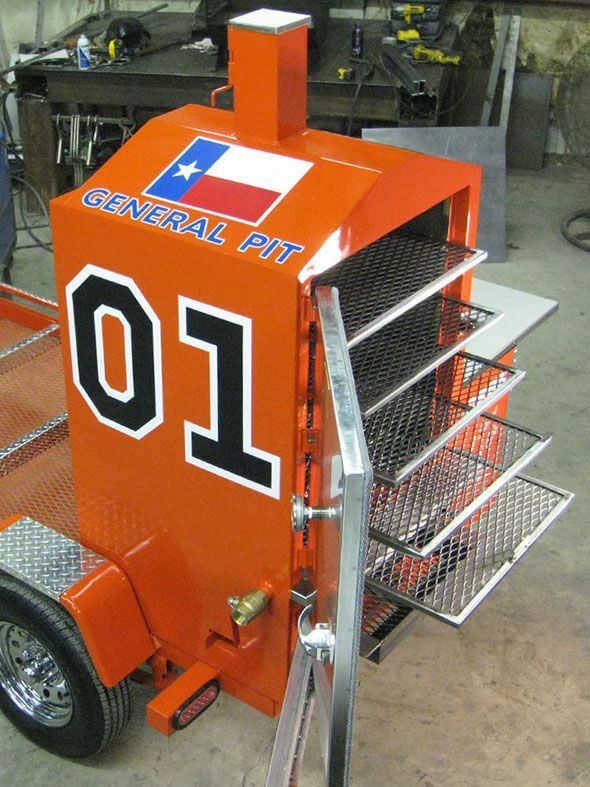 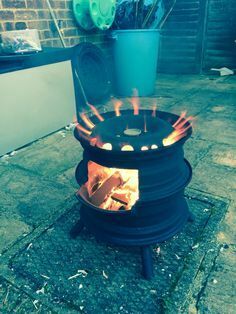 Get wonderful pointers on "fire pit backyard". 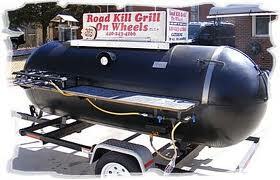 They are actually readily available for you on our internet site. 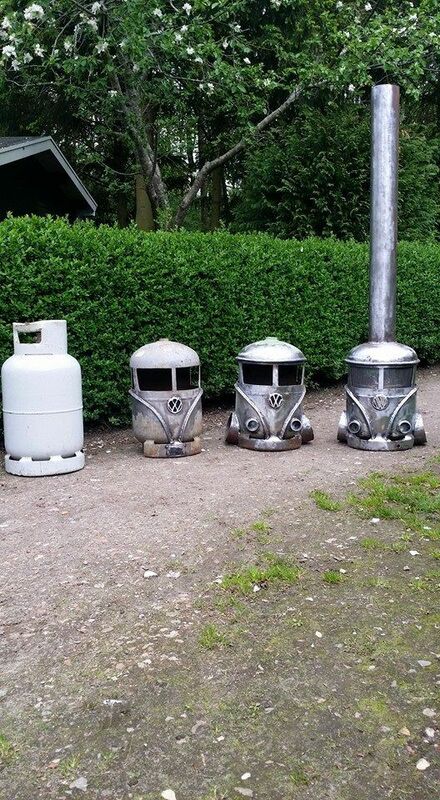 This is beyond cute. 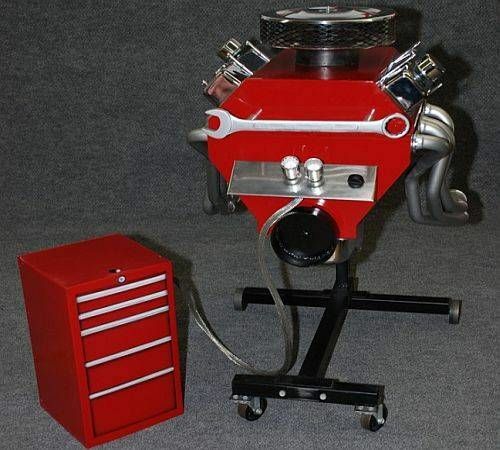 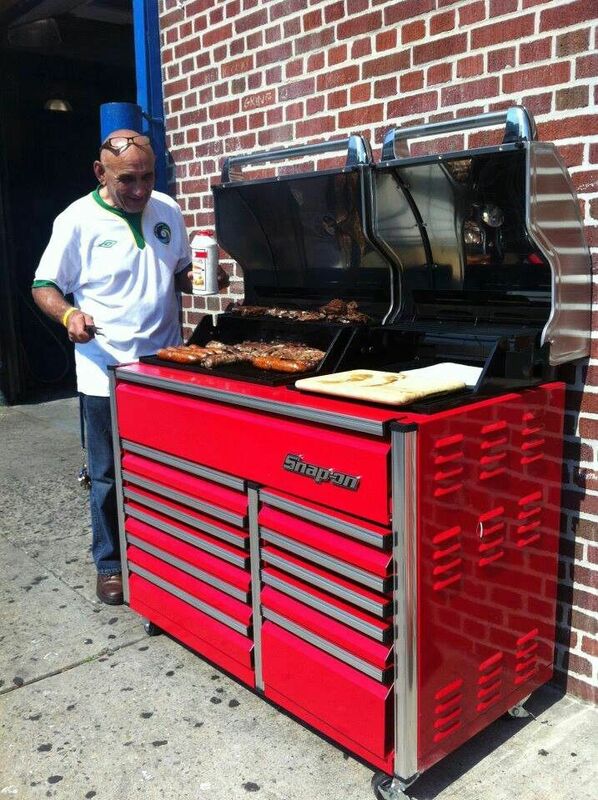 Want one. 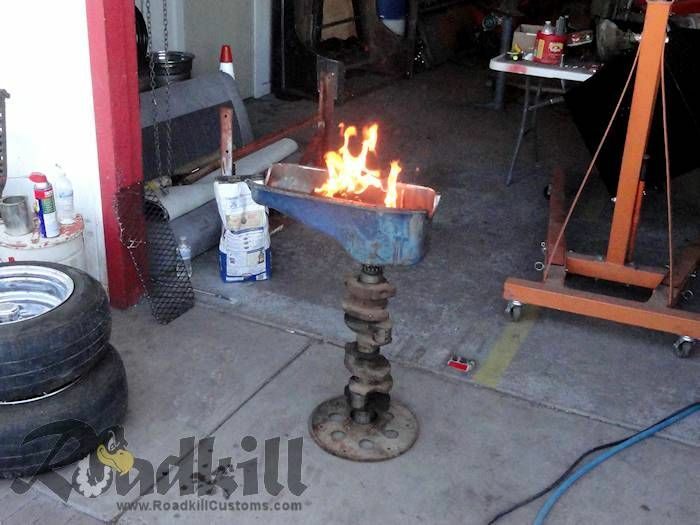 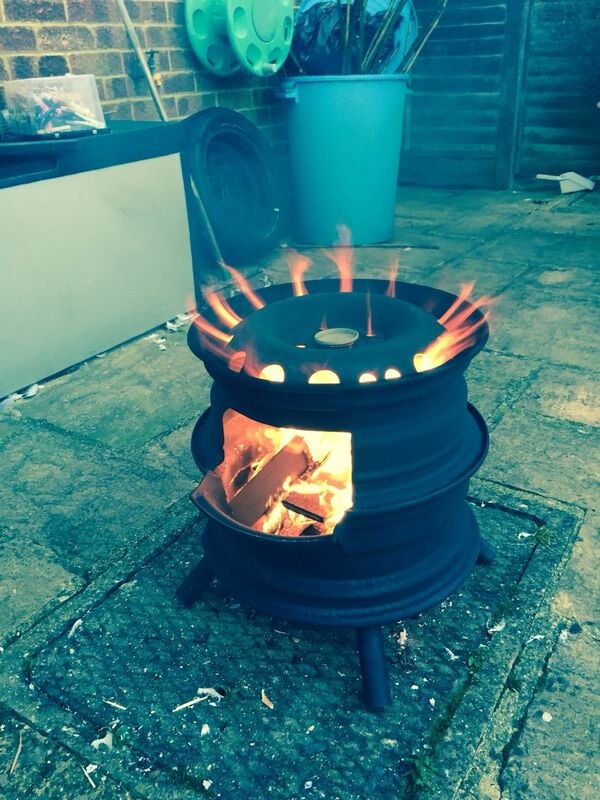 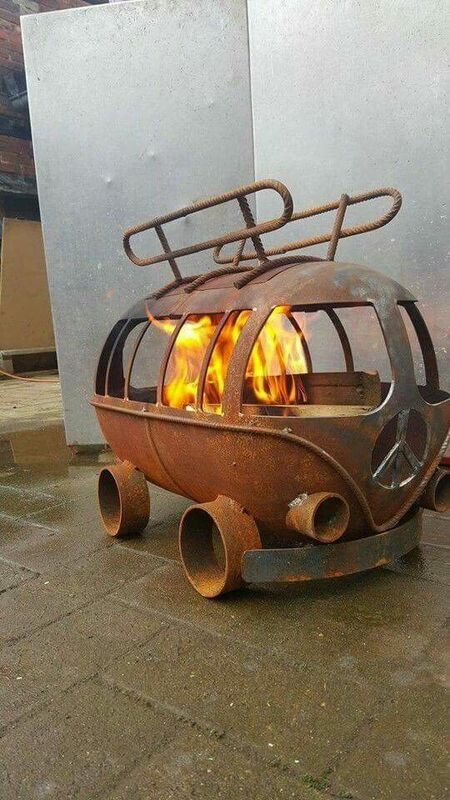 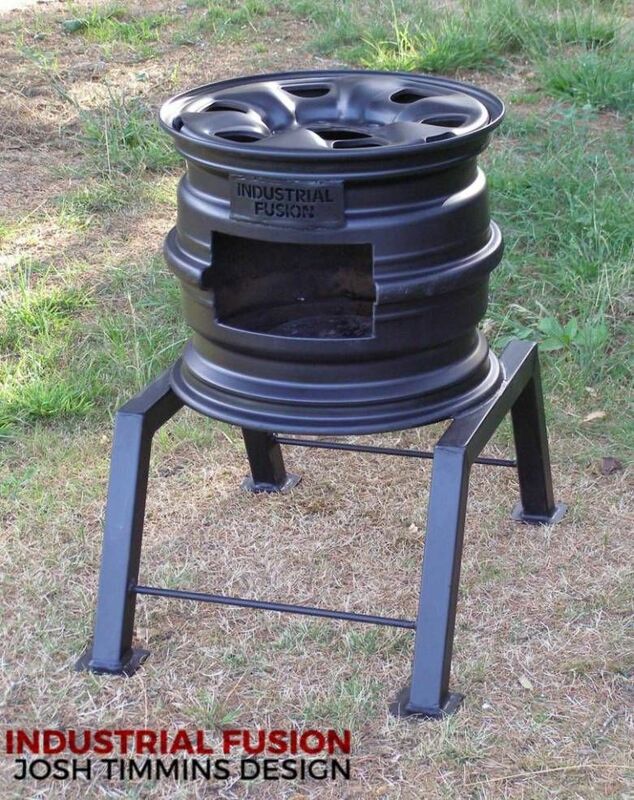 Wheel rim fire pit- This creative fire pit can be used on your deck. 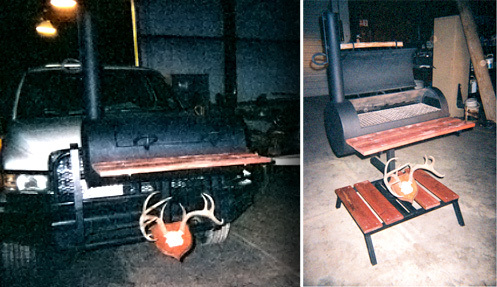 Deck Protect was created to keep all decking surfaces safe from radiant heat. 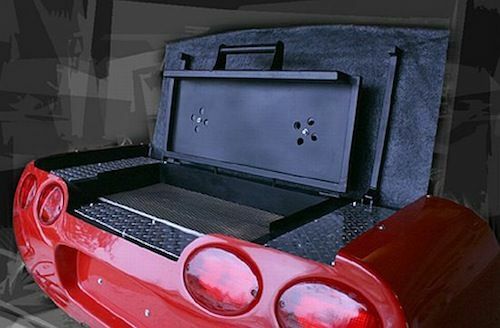 We can also be found on the Trex site as the only product to be used on theirs. 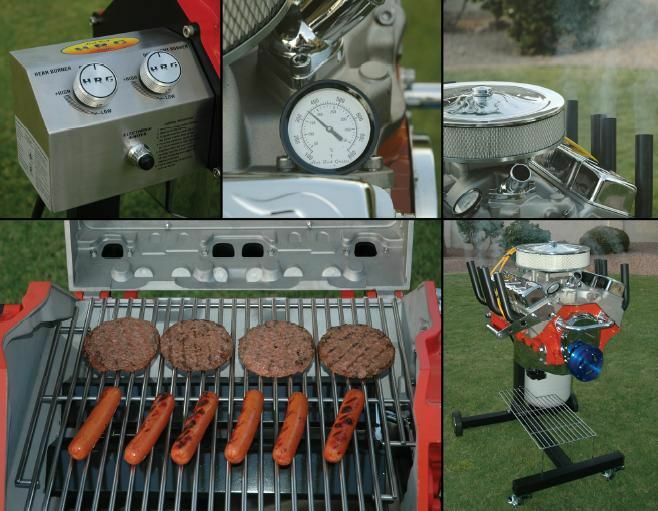 deckprotect.com Enjoy and relax!!!! 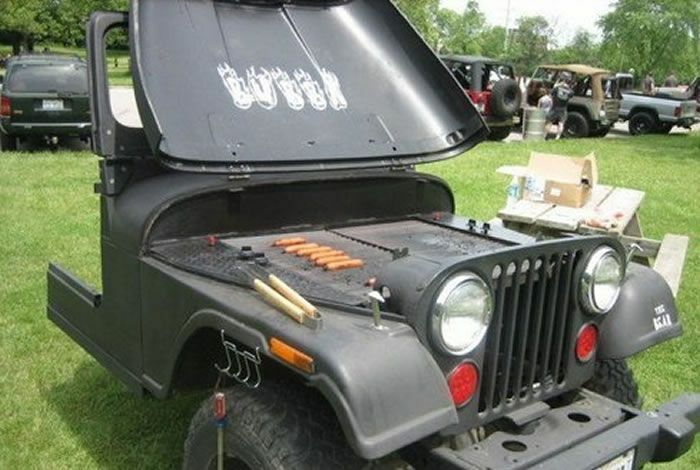 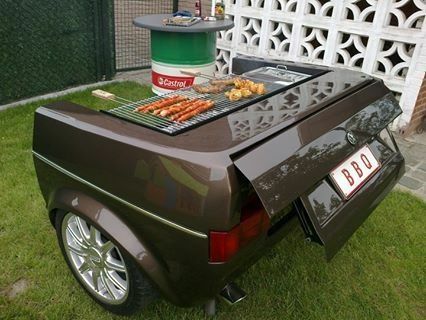 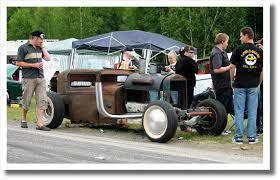 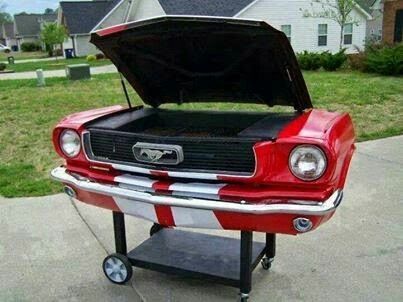 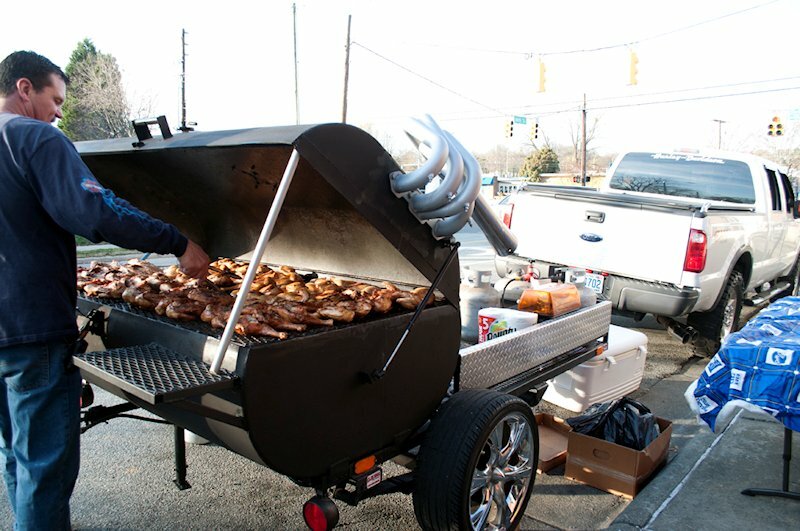 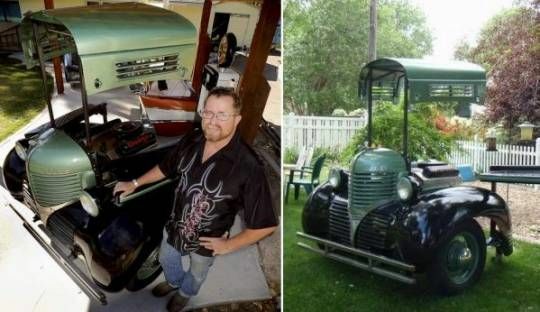 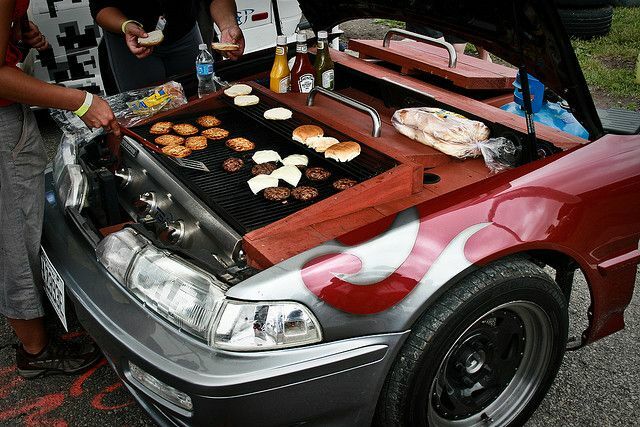 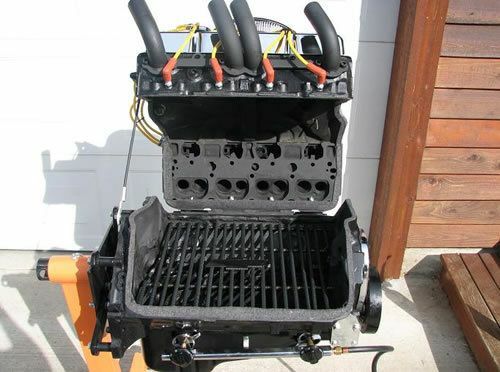 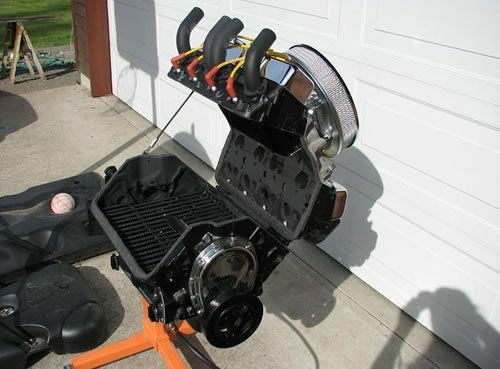 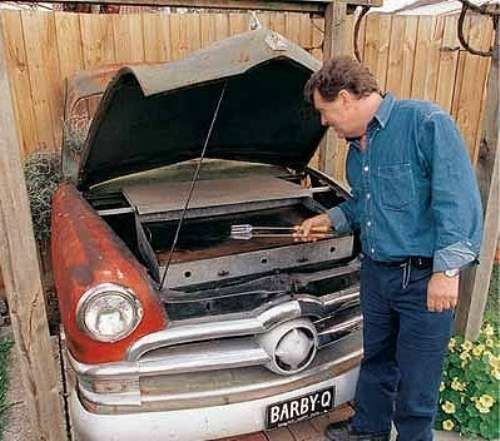 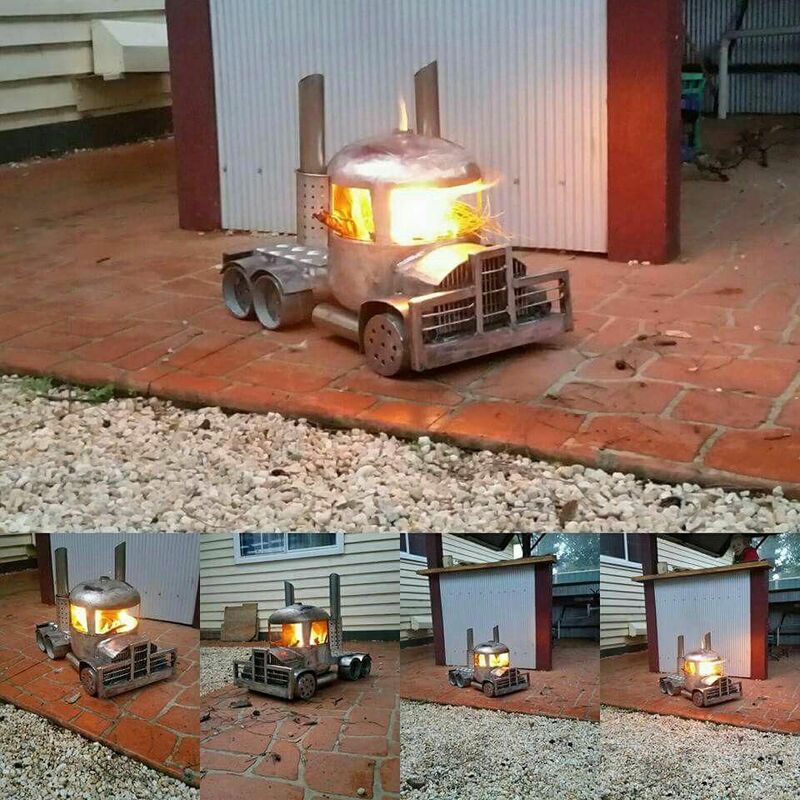 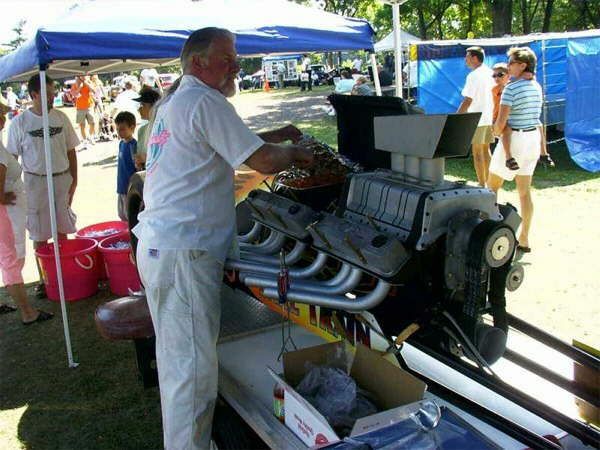 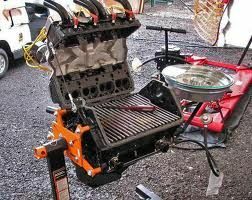 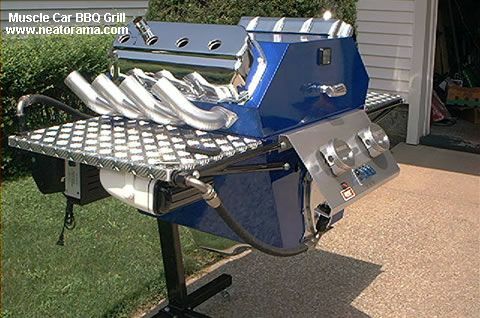 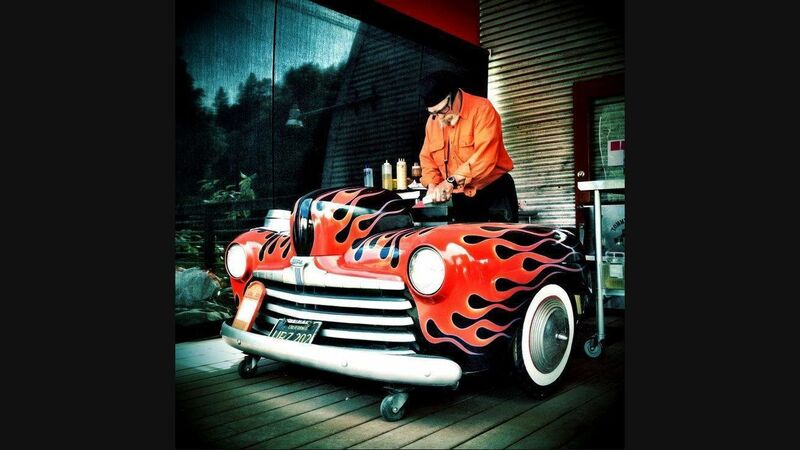 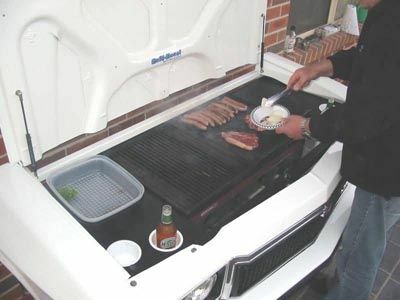 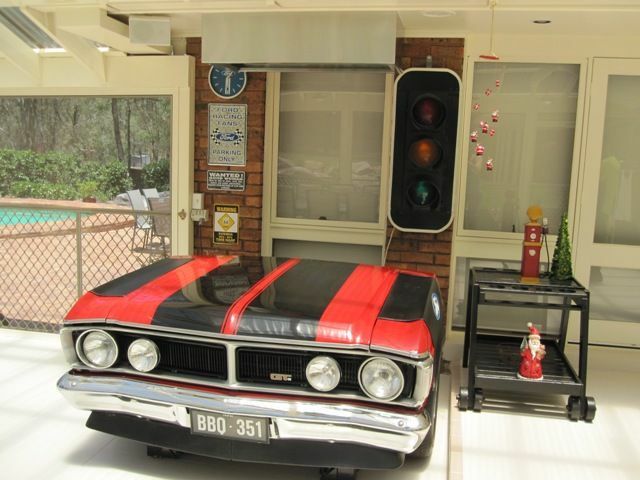 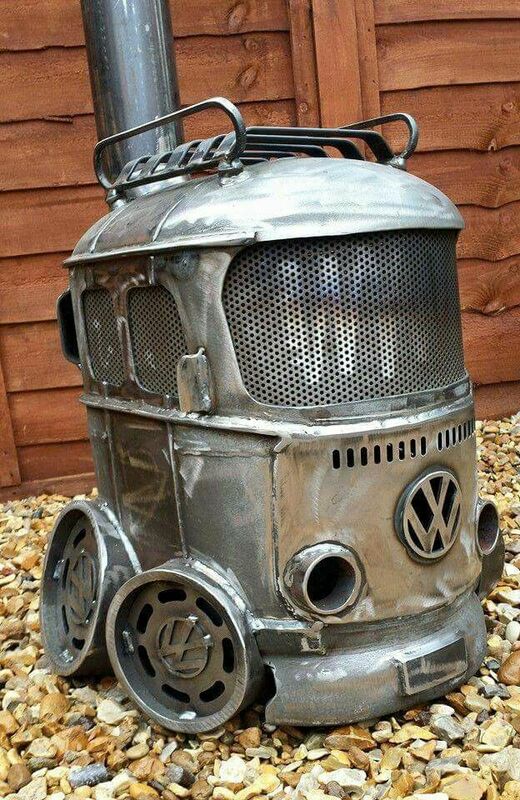 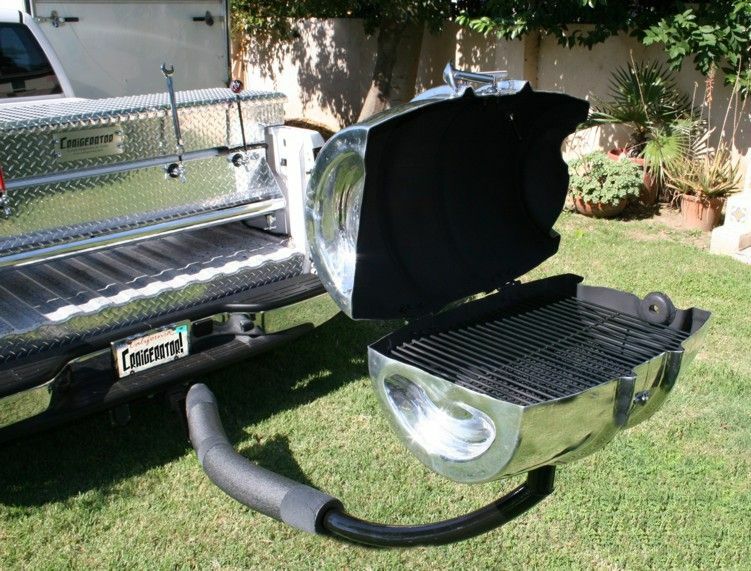 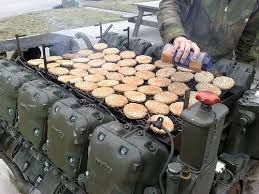 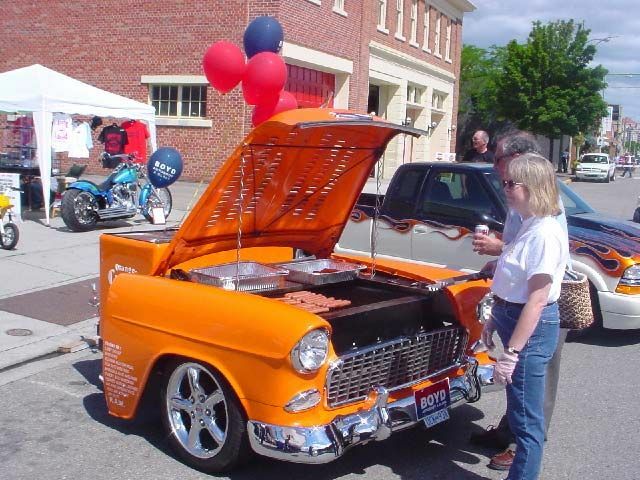 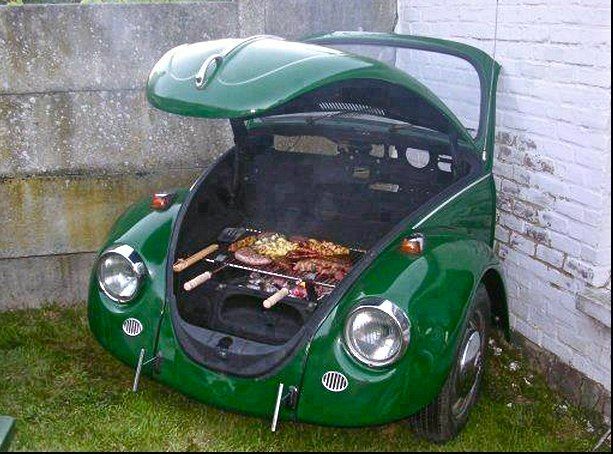 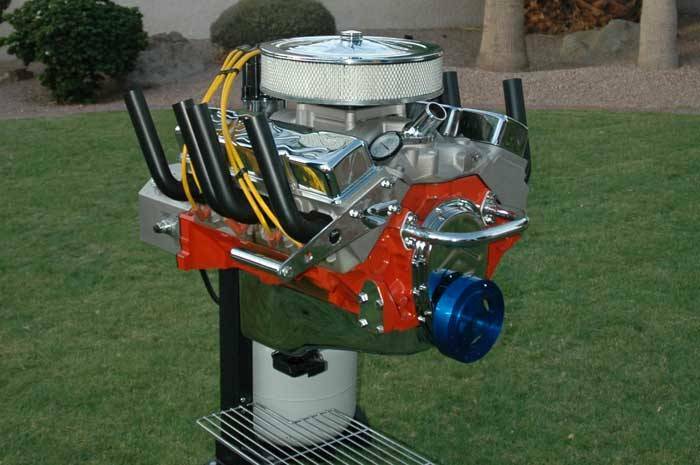 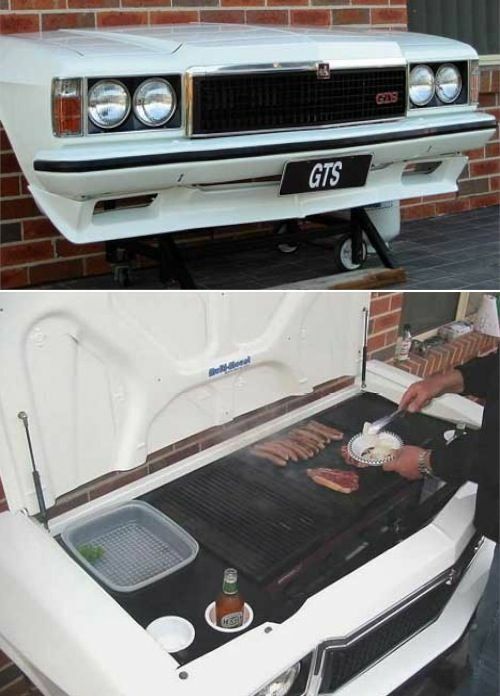 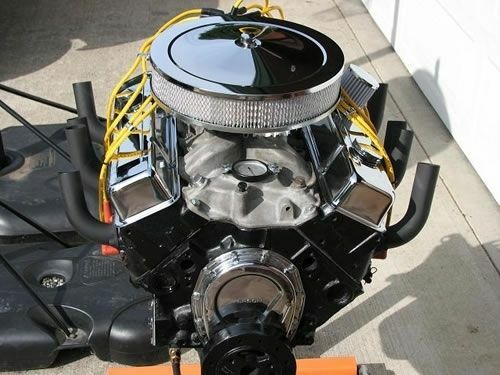 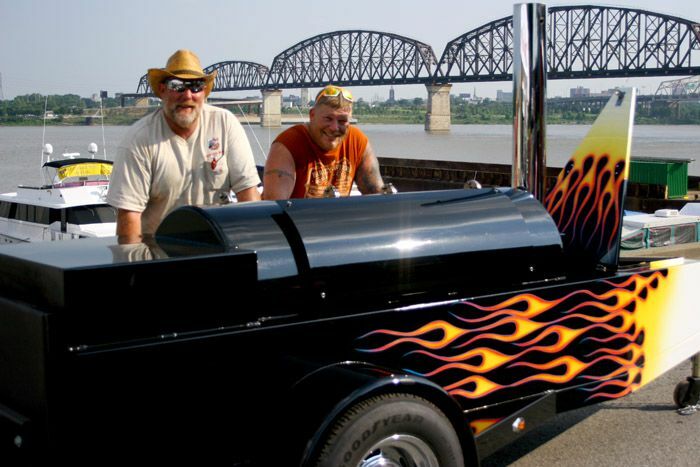 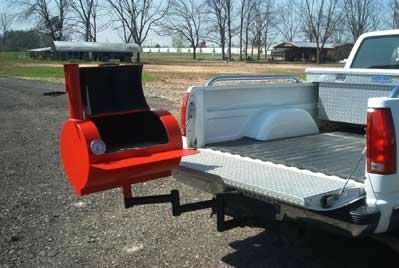 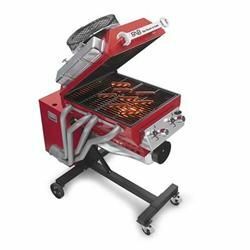 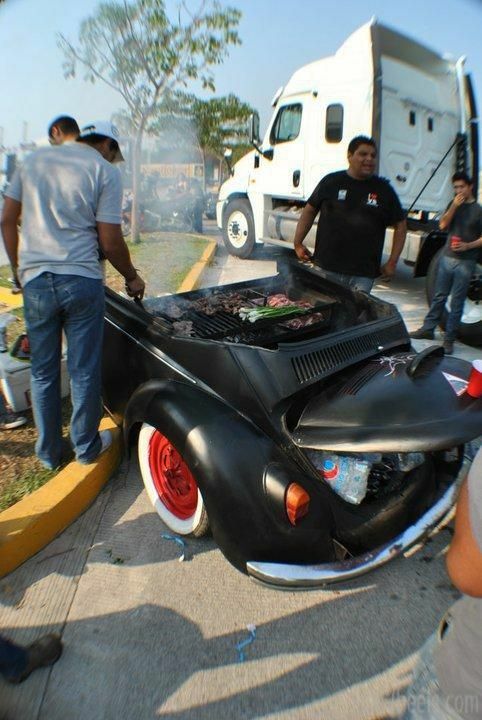 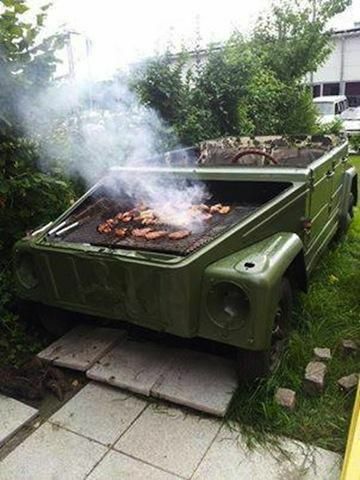 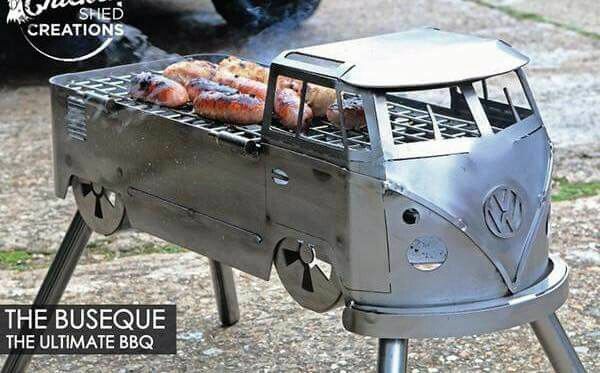 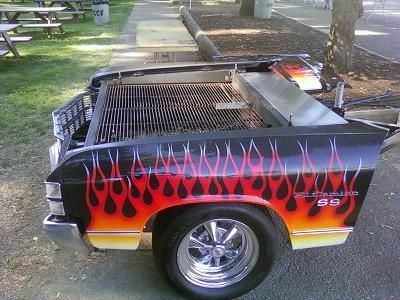 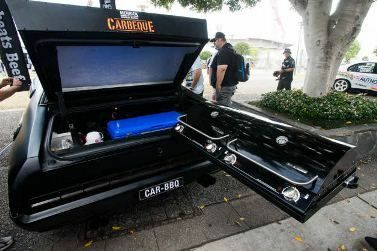 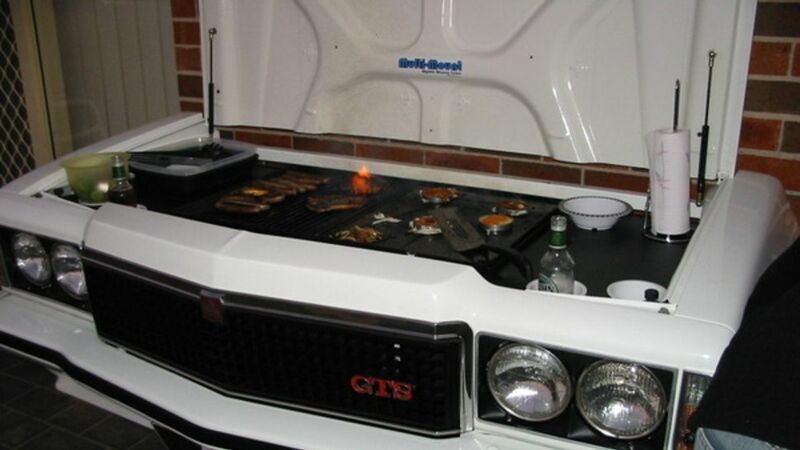 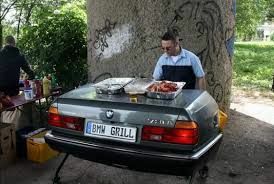 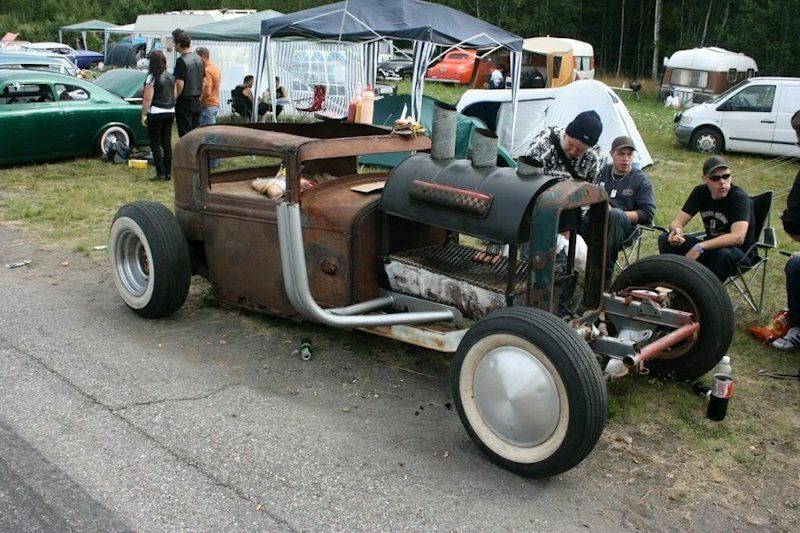 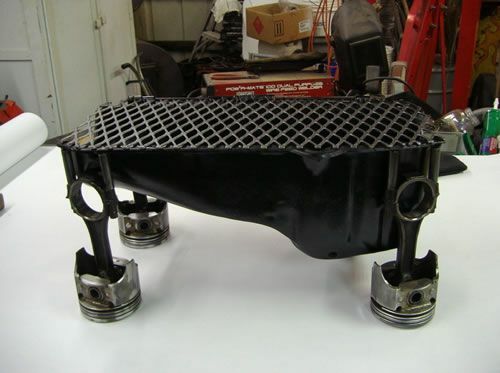 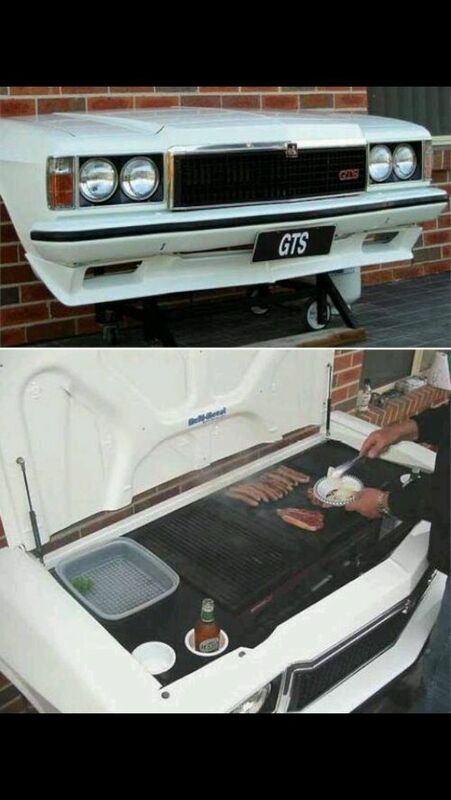 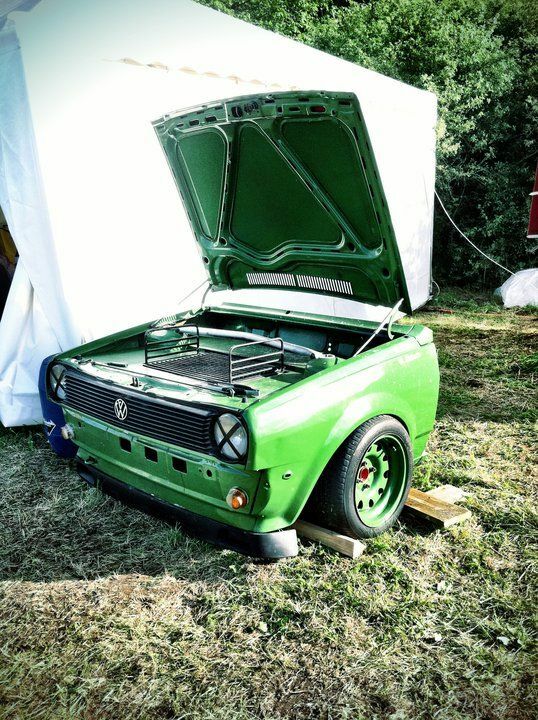 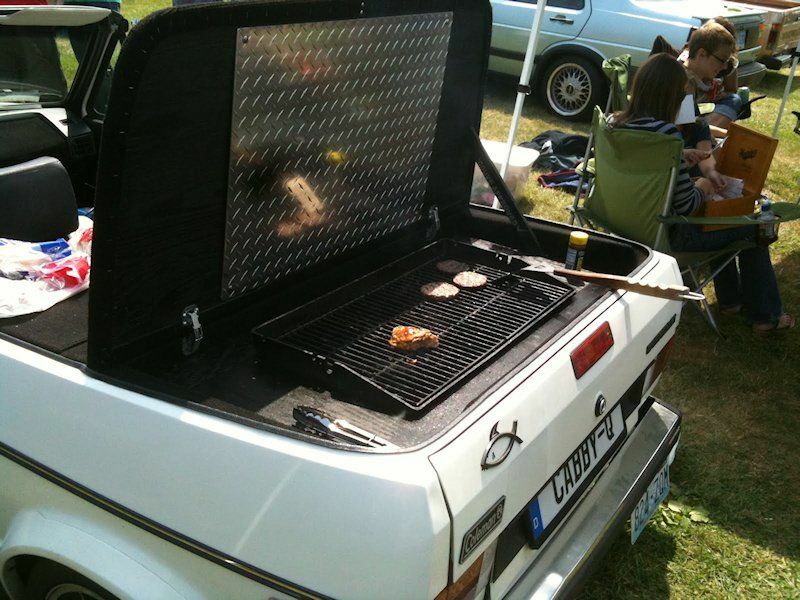 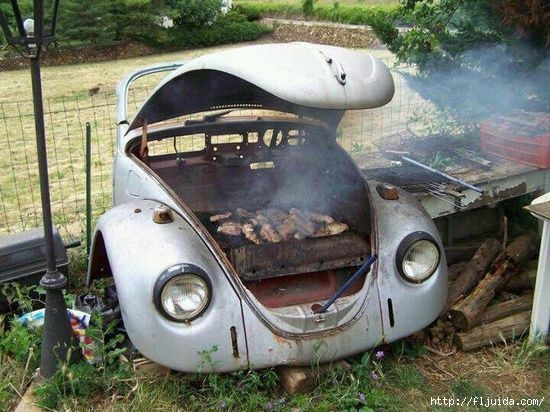 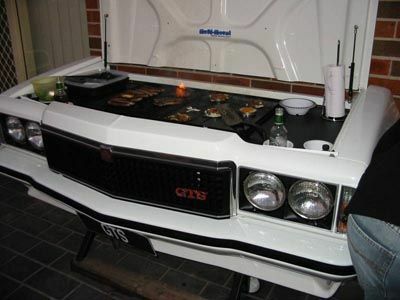 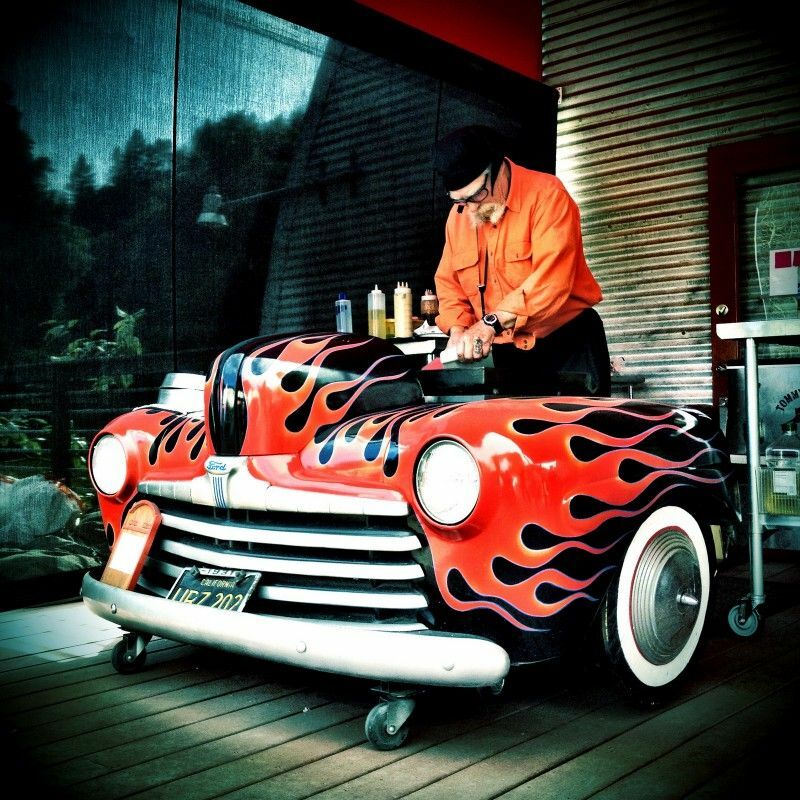 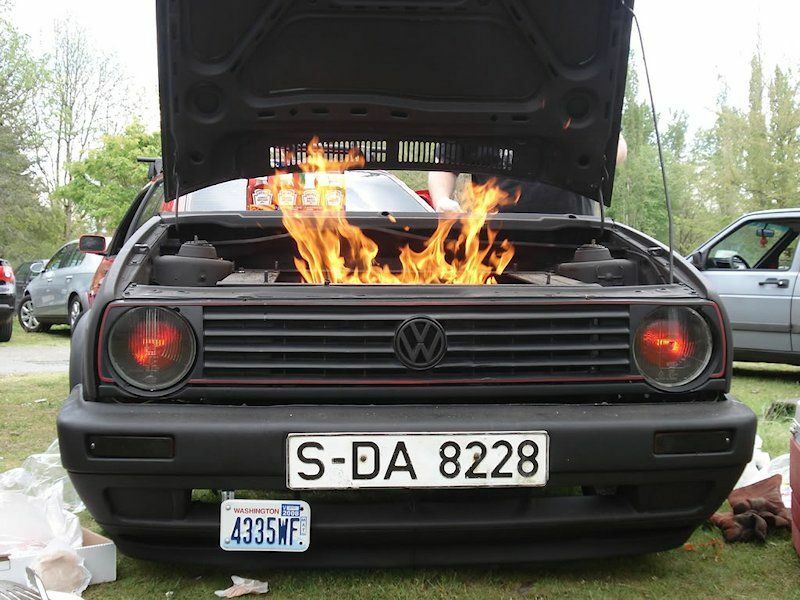 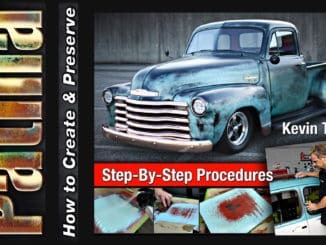 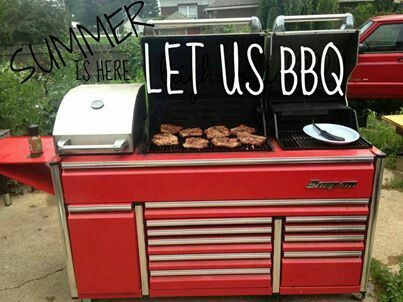 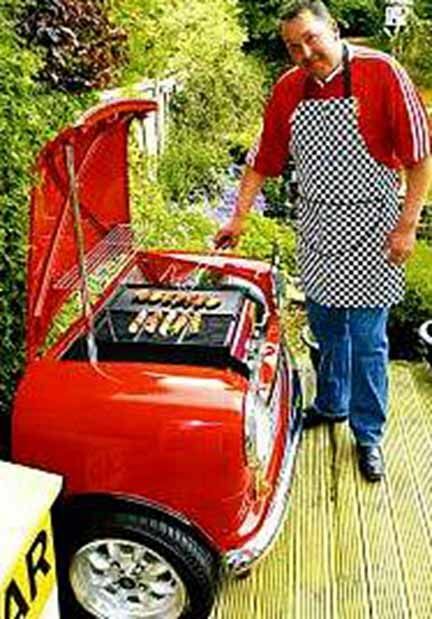 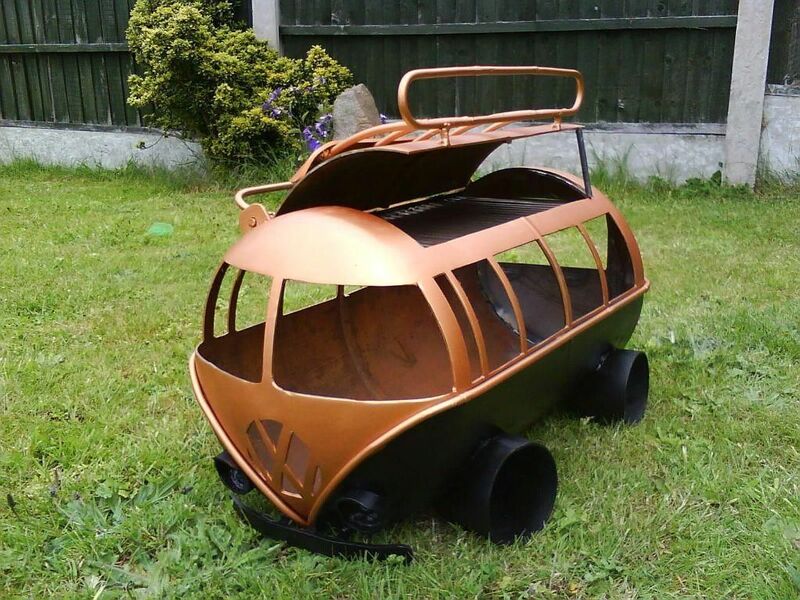 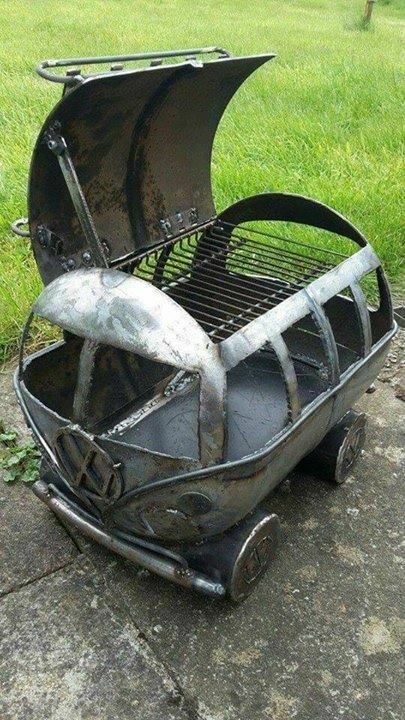 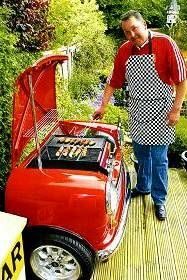 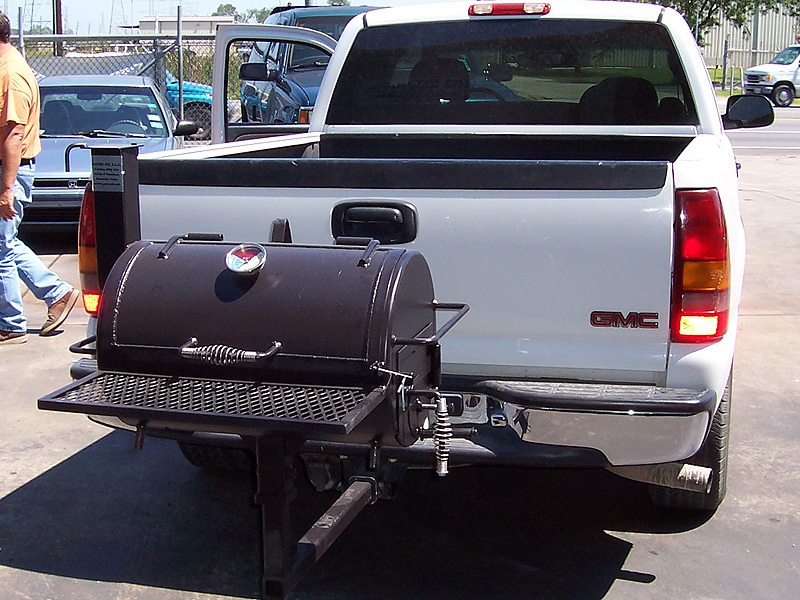 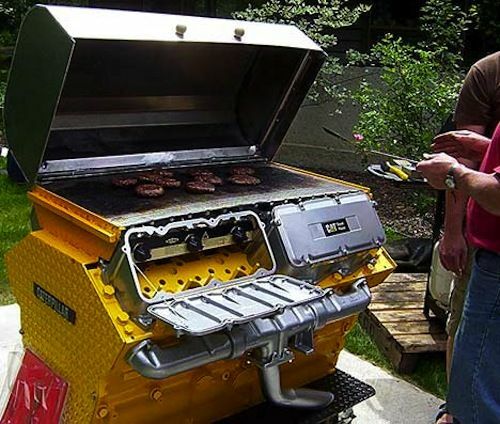 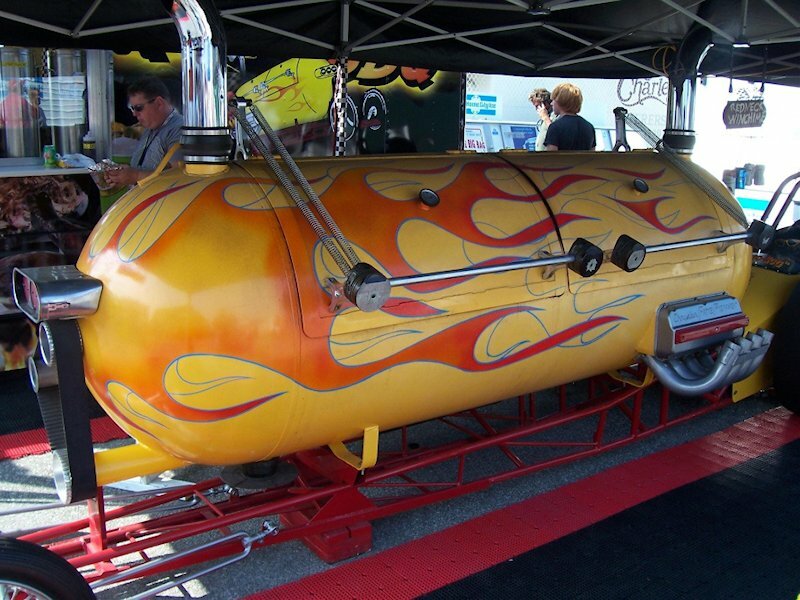 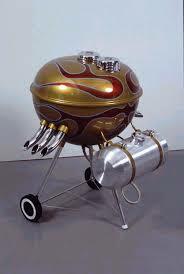 Old Ford Grill as a BBQ Grille! 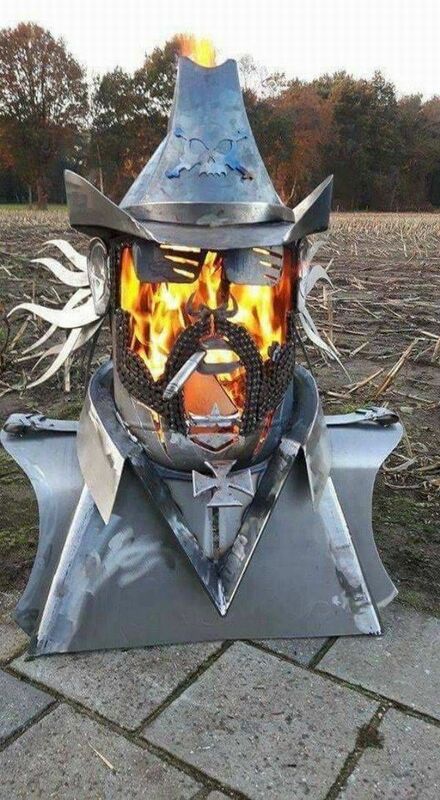 Must build on someday! 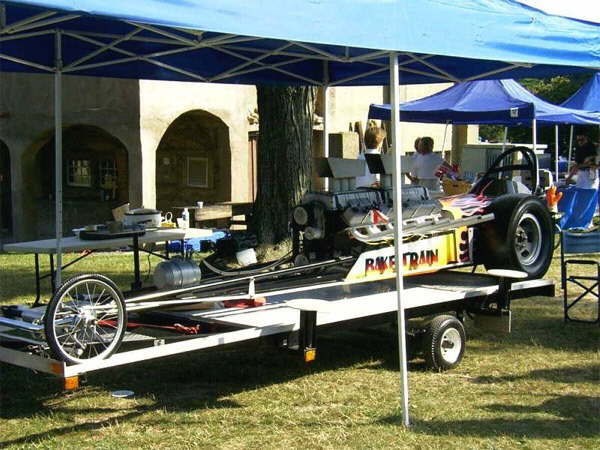 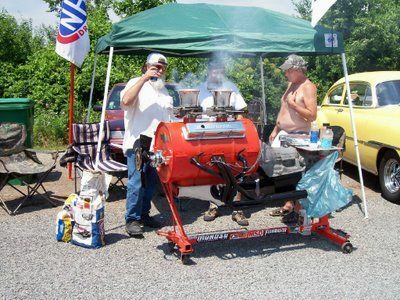 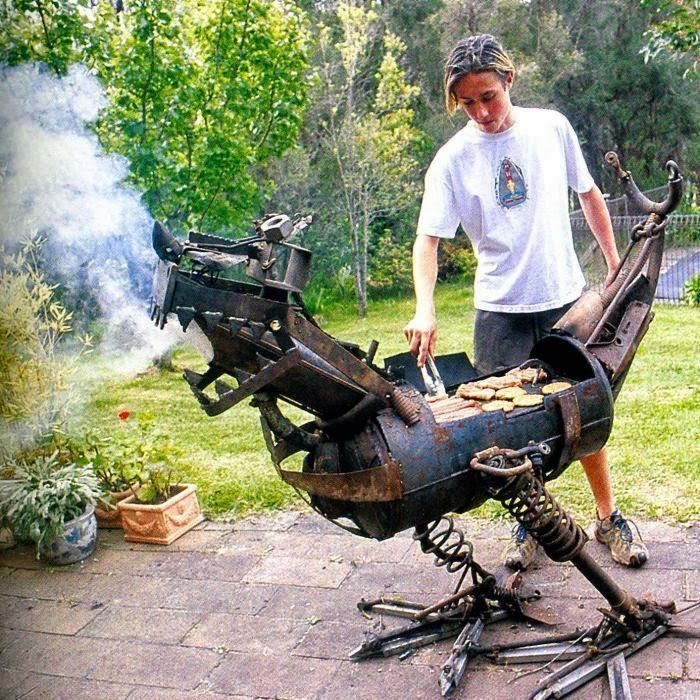 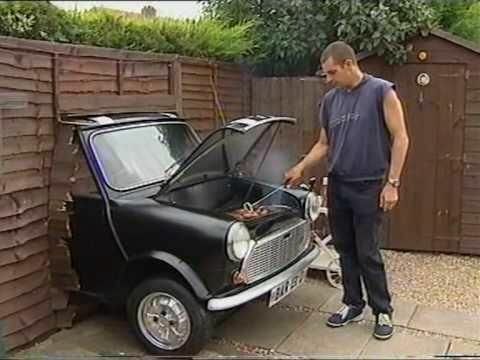 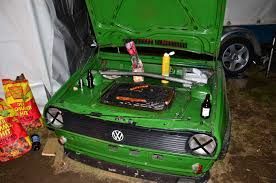 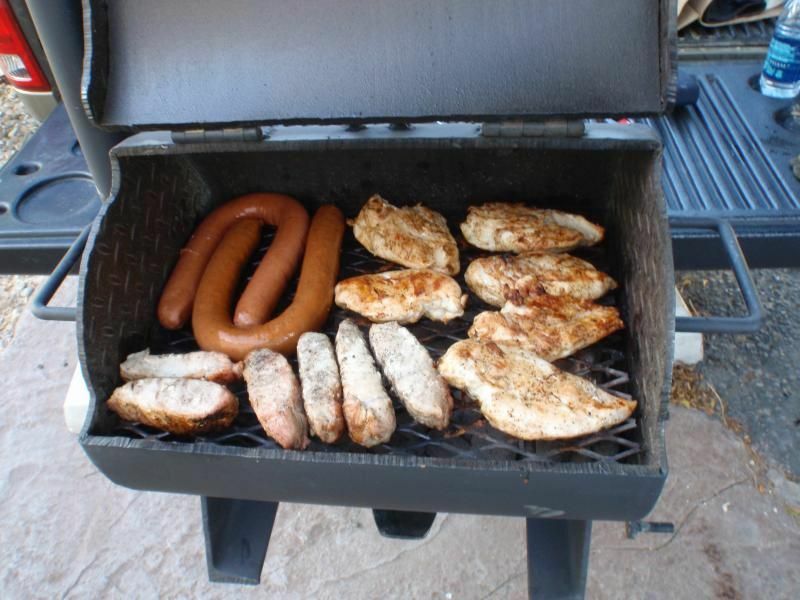 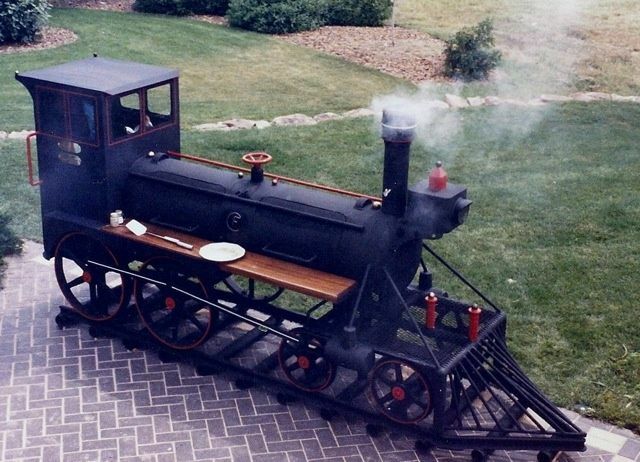 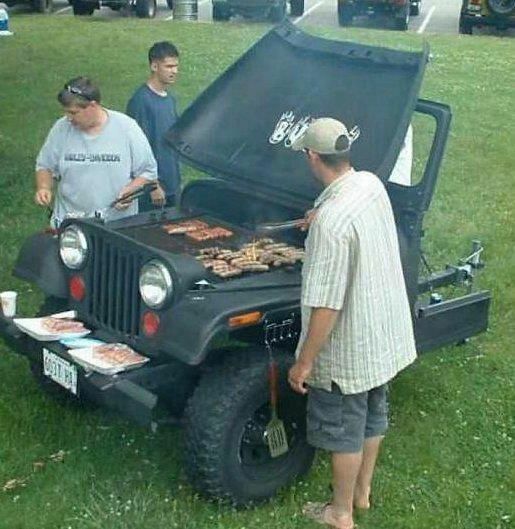 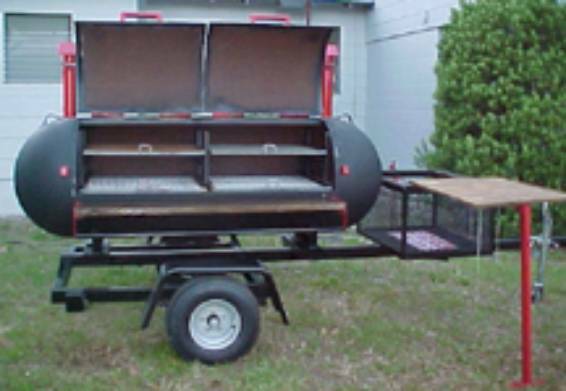 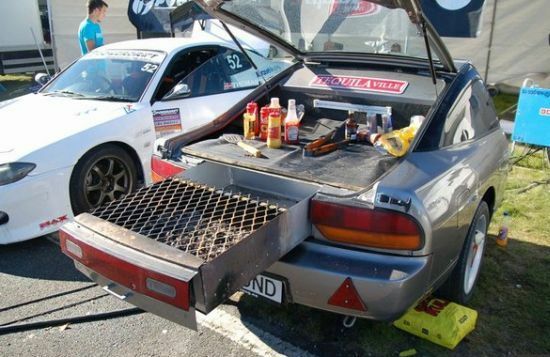 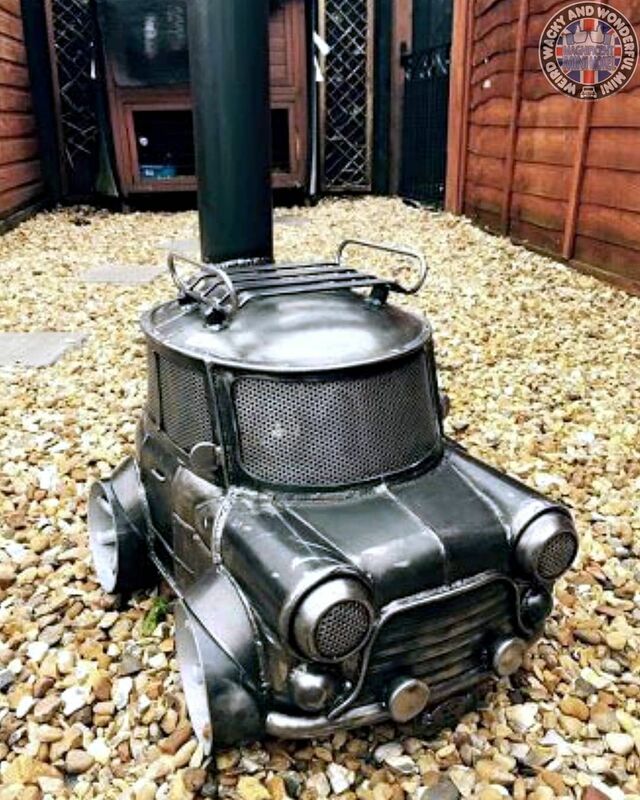 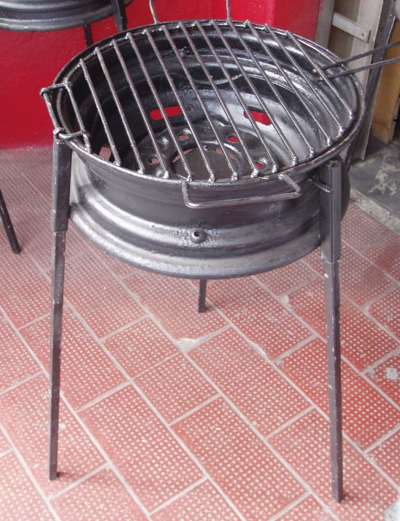 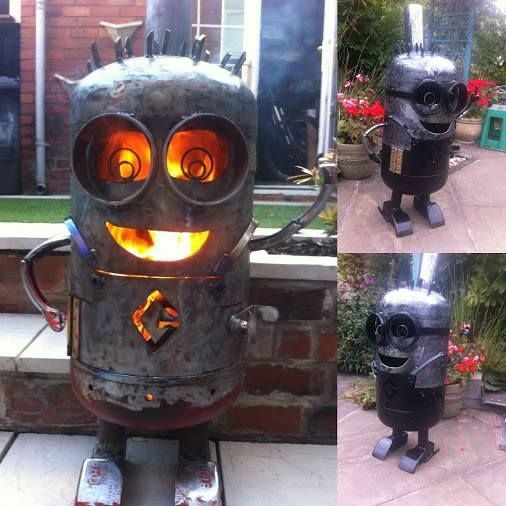 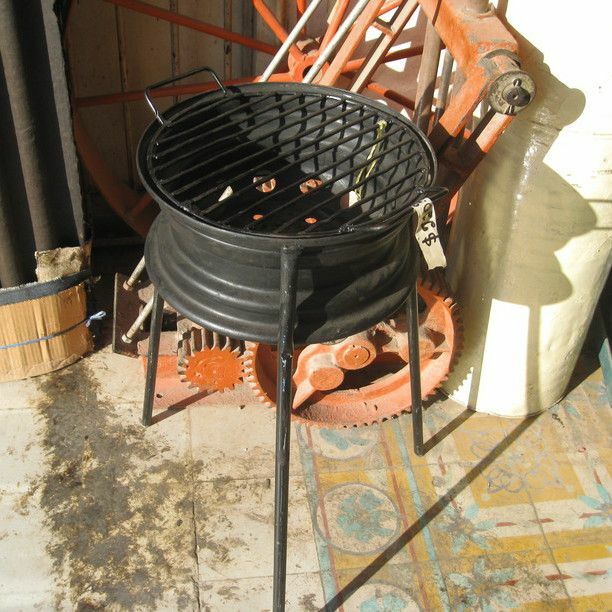 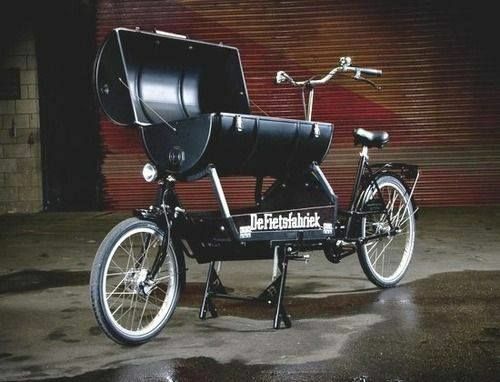 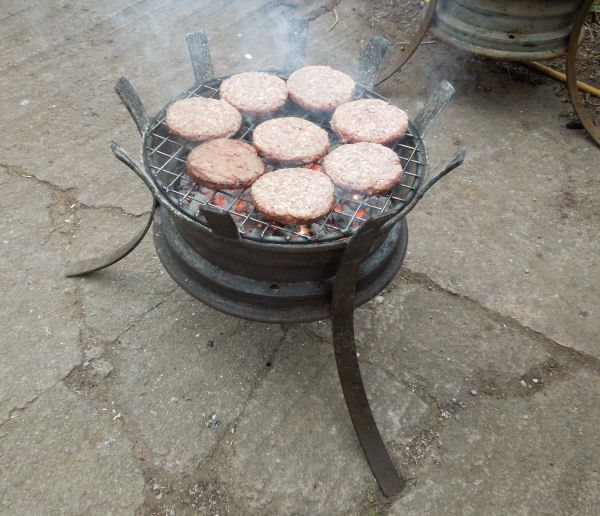 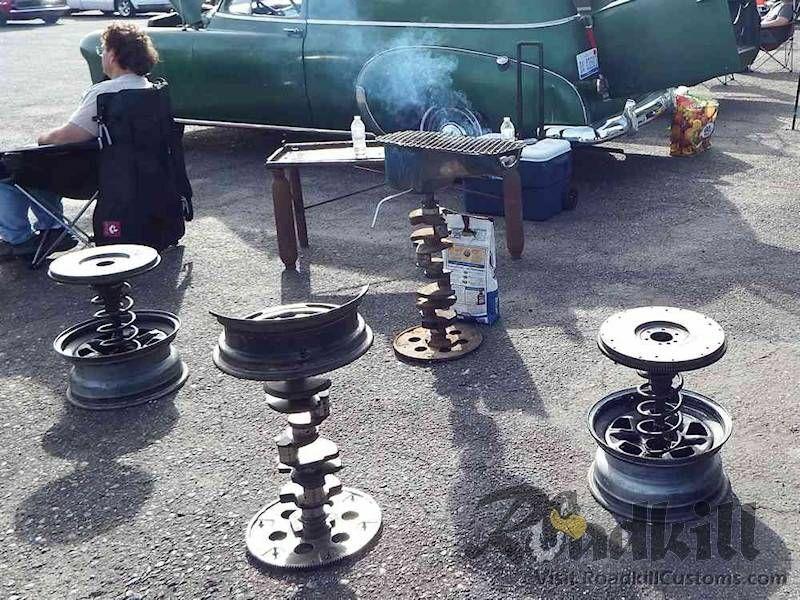 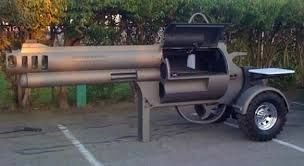 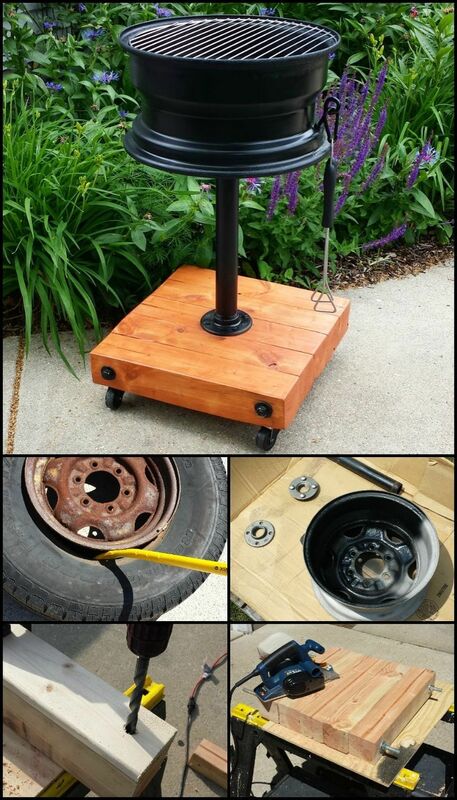 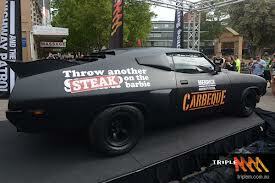 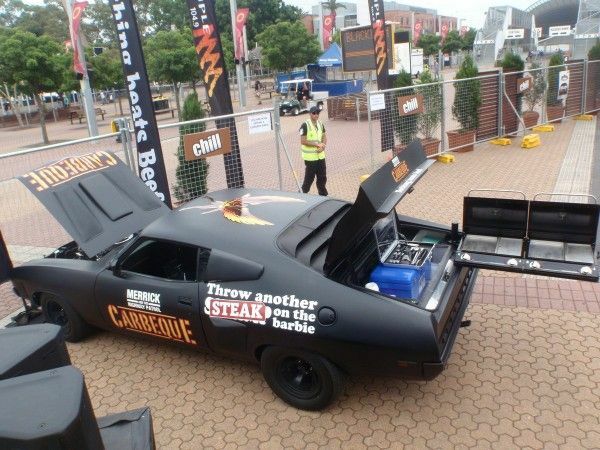 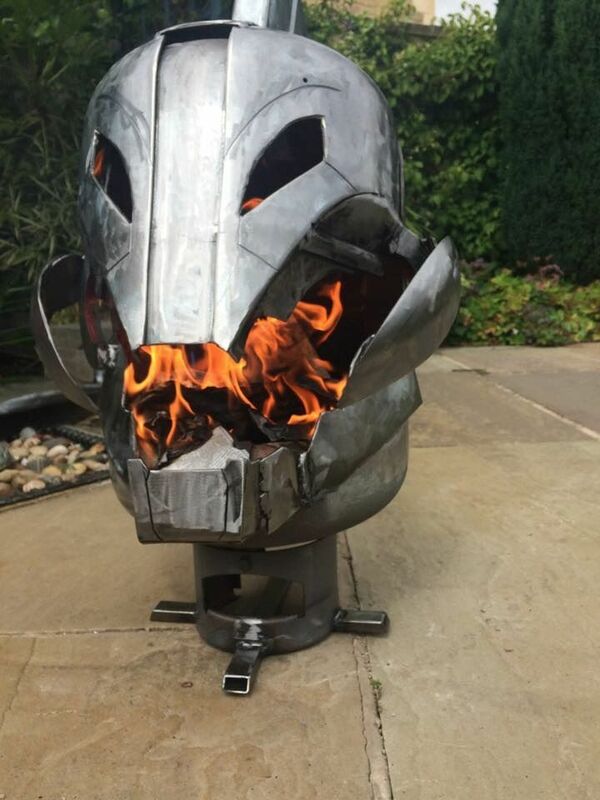 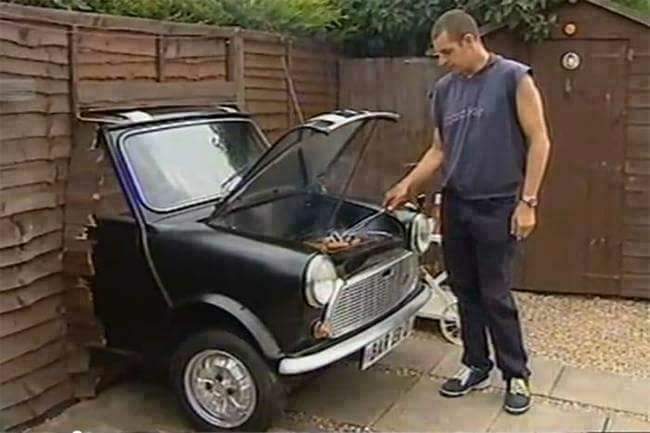 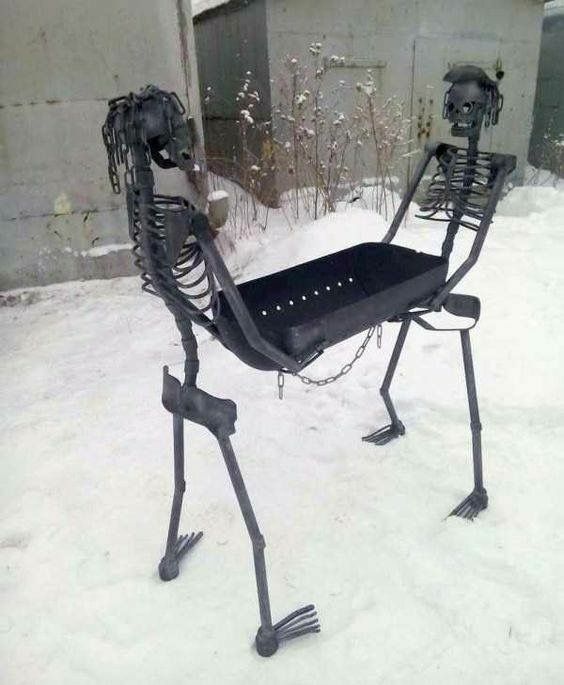 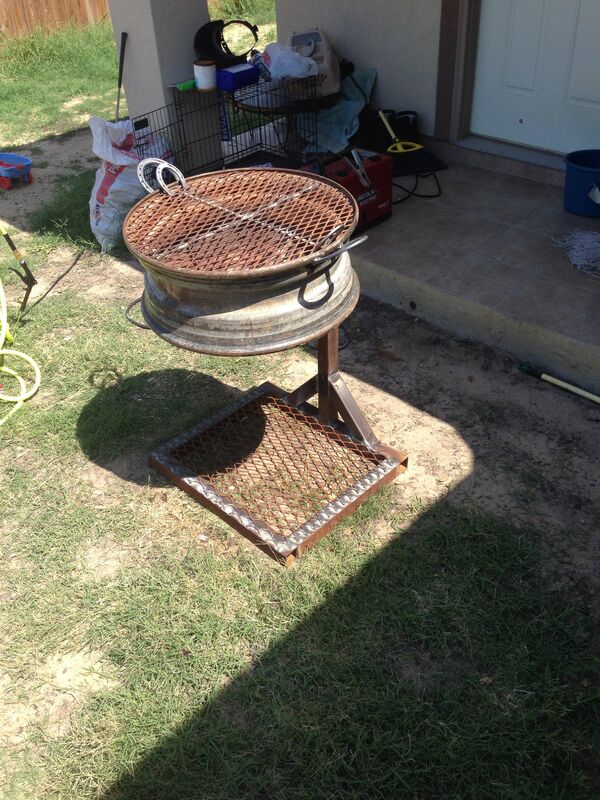 Barbeque made from a tire rim. 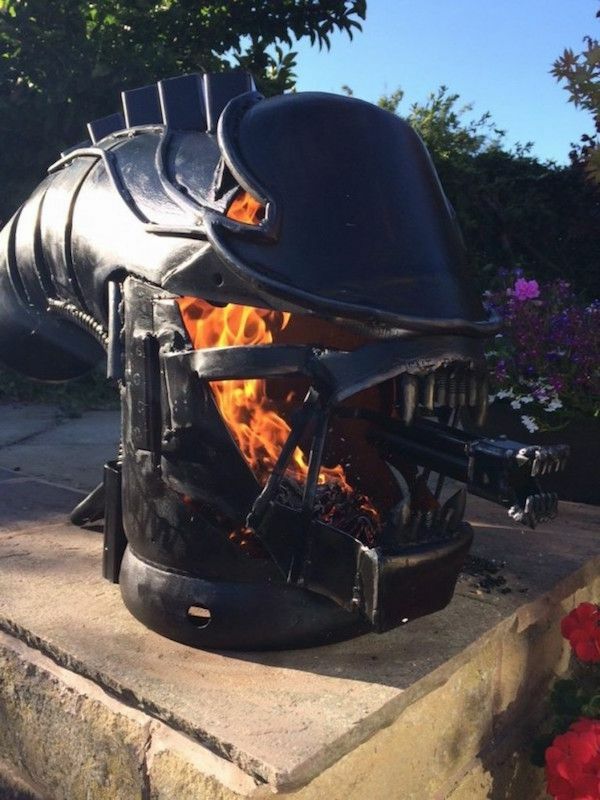 The legs come off and the lid flips. 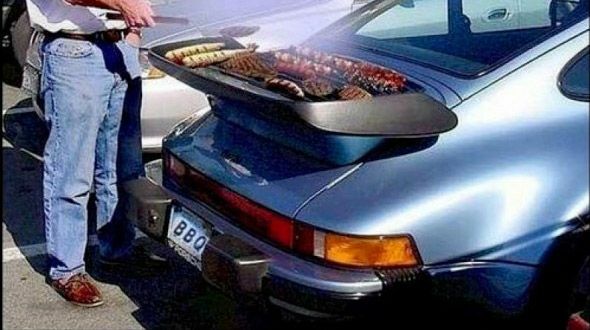 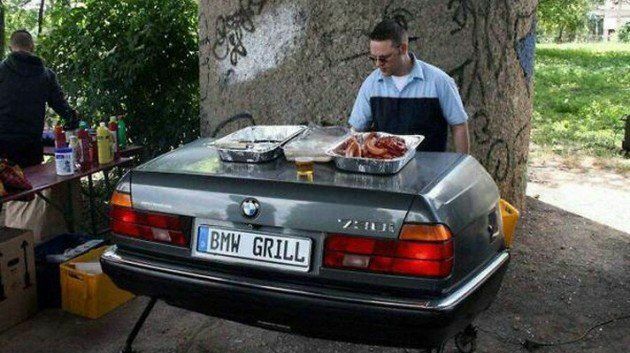 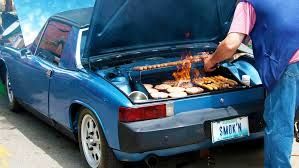 Easy to put in the back of your car for a picnic. 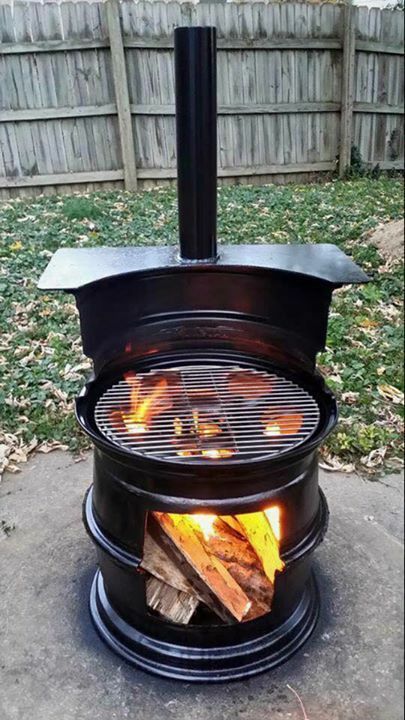 Great use of a tire rim.